So this burger is from this british pub in San Diego. Don't ask me why we chose a british pub in California :-D I can't remember the name of the restaurant but it was quite nice. Plus a british pub and a burger can never go wrong. We had lunch in this Italian restaurant in Long Beach, when we visited 4th Street which btw is an awesome street with lots of vintage clothing. 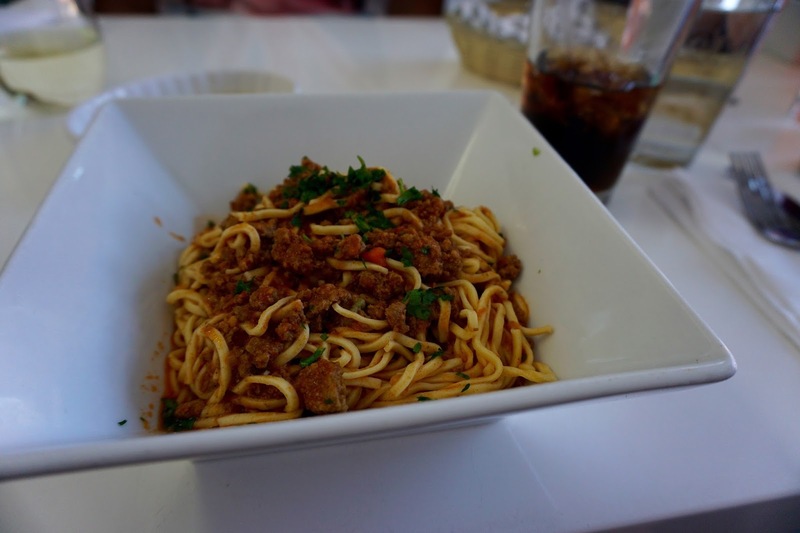 I had the spaghetti bolognese which was delicious (as always). I can't remember what the ones in the first picture are called, but they specialised in those so maybe they are worth a try. 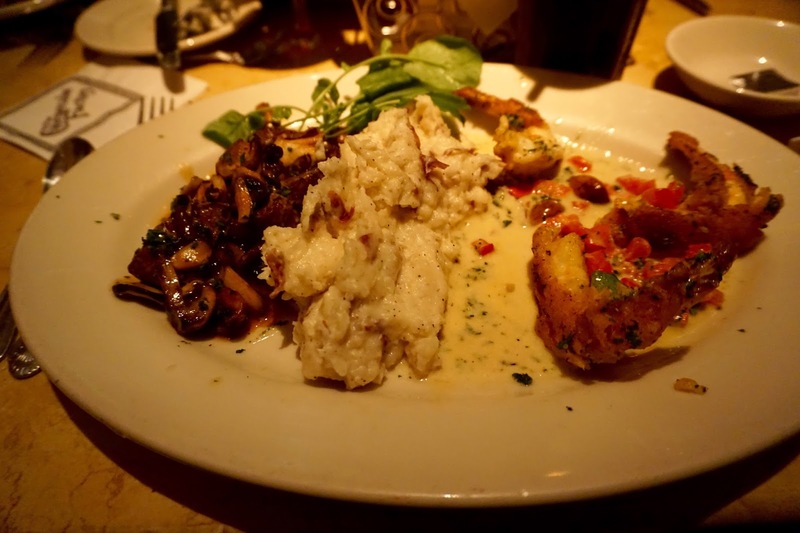 Such a delicious dinner at Cheesecake Factory at The Grove. I know the picture doesn't look that appealing but believe me, it was good. 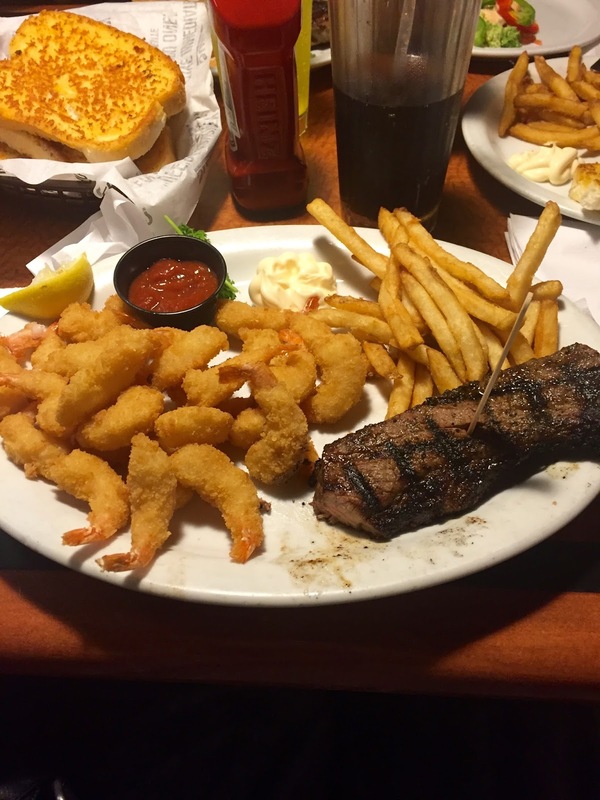 I chose to mix two dishes of shrimp and beef with mashed potatoes between. And of course a cheesecake for dessert. 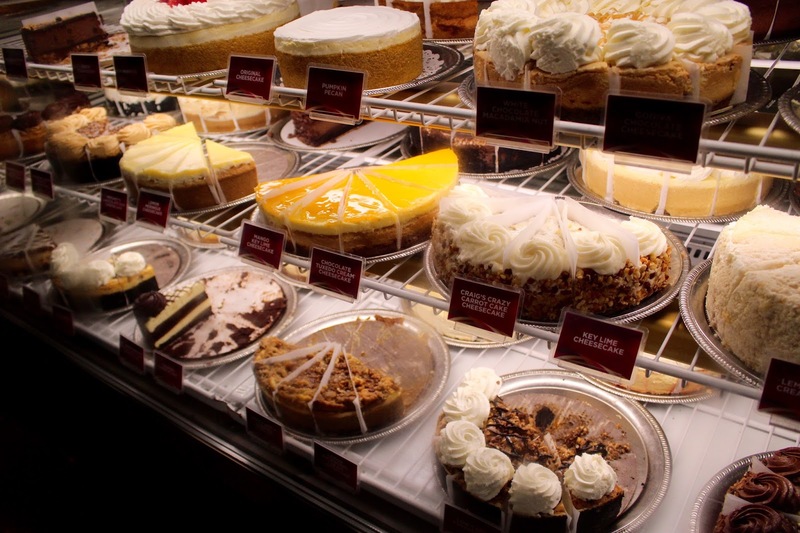 Definitely visit the Cheesecake Factory when in the US. 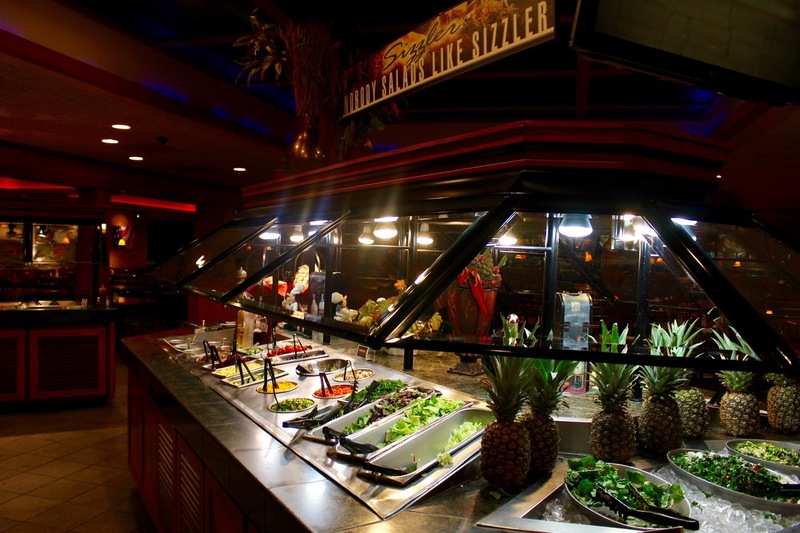 Sizzlers is a chain of restaurants in the US. The last time I was in California we ate here A LOT. So for old times sake we tried it again. It is very cheap and you get a lot for the money. It's very delicious compared to the price. They also have this huge salatbar which is very tasty. Check out my next post with part 2! I'm so glad you made this post, haha! 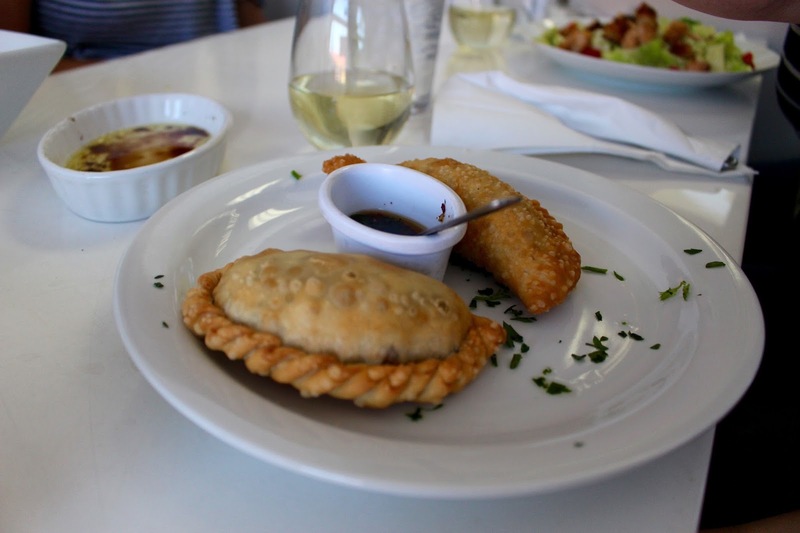 I don't know what it is, but I love seeing what people order in restaurants. 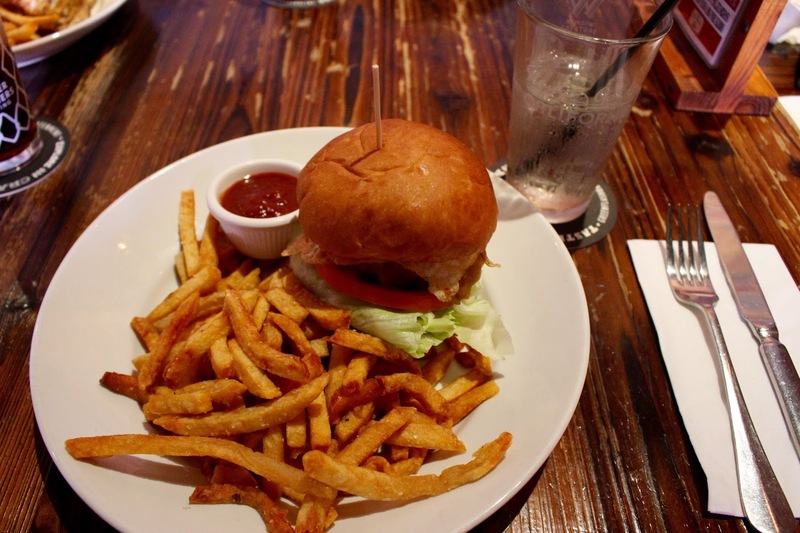 I've always been a bit regretful that I didn't take pictures of some of my food choices during my last big trip ;) That first burger and fries looks DIVINE!